The Hans Christian Andersen Awards are a pair of biennial literary awards by the International Board on Books for Young People (IBBY), recognising one living author and one living illustrator for their "lasting contribution[s] to children's literature". The writing award was inaugurated in 1956, the illustration award in 1966. The former is sometimes called the "Nobel Prize for children's literature". The awards are named after Hans Christian Andersen, the 19th-century Danish author of fairy tales, and each winner receives the Hans Christian Andersen Medaille, a gold medal with the bust of Andersen (see image). Medals are presented by the Queen of Denmark at the biennial IBBY Congress. "National Sections" of IBBY may nominate one author and one illustrator each and the panel considers only those nominees. For the 2012 HCA Awards, 27 authors and 30 illustrators were nominated by 32 "nations". National sections also nominate the judges. The 2012 panel comprised president María Jesús Gil Iglesia of Spain and ten others appointed by the IBBY executive. Award winners are announced at the annual Bologna Children's Book Fair, in March or April. For 2012, five finalists for each award were announced 12 March 2012 and the winners one week later, 19 March. During April 2013 IBBY announced 29 writers and 31 illustrators nominated for the 2014 awards. On 17 March 2014 IBBY announced the shortlists of six writers and six illustrators for the 2014 awards, to be announced one week later, Monday, 24 March. In early 2016 IBBY announced the shortlists of 5 writers and 5 illustrators for the 2016 awards, to be announced on 4 April. The award for authors was inaugurated in 1956 as the only Hans Christian Andersen Award. It has been conferred 30 times through 2012 including two awards in 1968. The distinct award for illustrators was inaugurated in 1966 and it has been conferred 24 times through 2012. 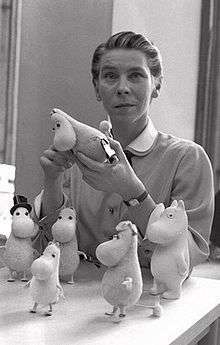 Lepman served as jury president for the first three Andersen Awards, 1956 to 1960, and remained on the jury until her death in 1970, as the President of IBBY and then as its honorary president. Current four-year terms cover two award cycles. 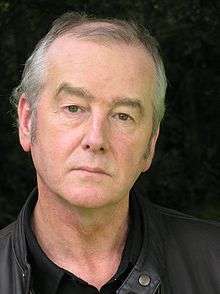 ↑ Waddell is a native, lifelong resident of Northern Ireland, United Kingdom. ↑ Pacovská was nominated by Czechoslovakia and received the award in the year before that state dissolved into its constituent republics. ↑ Sis was nominated by the extant Czech Republic. He was born in the former Czechoslovakia and educated there in Applied Arts. He has been a U.S. citizen from 1982. ↑ "Hans Christian Andersen Awards". International Board on Books for Young People (IBBY). Retrieved 2012-08-20. 1 2 3 "2012 Awards". IBBY. Retrieved 2012-08-20. 1 2 "2014 Awards". IBBY. Retrieved 2013-07-14; 2014-03-18. ↑ "2014 Hans Christian Andersen Awards Shortlist". IBBY. 17 March 2014. Retrieved 2014-03-18. ↑ "Winners 1956–2012". IBBY. Retrieved 2013-02-28. ↑ Eva Glistrup, ed. ; Patricia Crampton, transl. 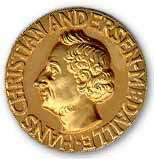 The Hans Christian Andersen Awards, 1956–2002. IBBY. Copenhagen: Gyldendal. 2002. Hosted by Austrian Literature Online (literature.at). Retrieved 2013-02-28. ↑ "Hans Christian Award jury members". Glistrup, ed., pp. 119–24. Retrieved 2013-07-12.